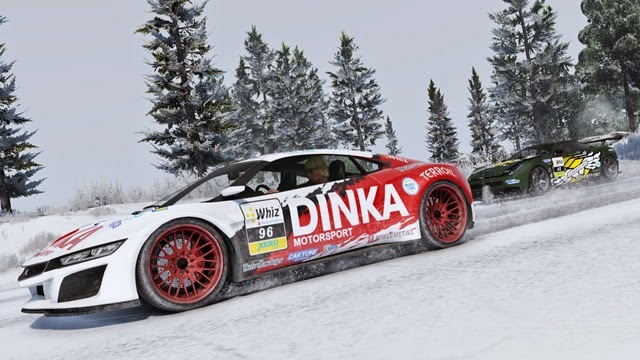 On 23 december,was released the new update for GTA Online. 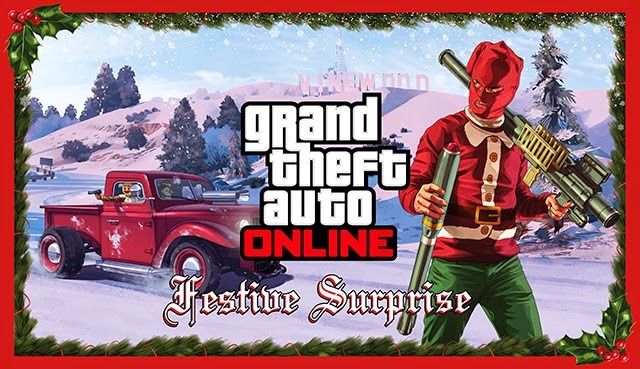 Players who’d like to get into the holiday spirit can grab some new items and participate in new Christmas themed activities within the “Festive Surprise". New update comes with new weapons who can be bought at Ammu-Nation stores. First up,is the personal Homing Missile Launcher! 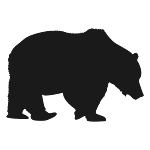 Now, players have the practical means to take out players who decide to be a nuisance while using vehicles, boats, or aircraft (take out those attack choppers!). This update comes with four new cars. The Hot Rod Christmas Ratloader, the Slam Van, and the Massacaro and Jester sports vehicles. The latter two all have racing skins to really feel like NASCAR came to town. All are permanent in the storefront and won’t disappear at the end of the holidays. 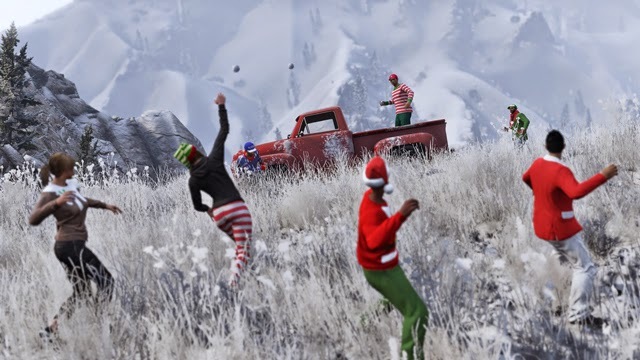 Of course,this update comes with a lot of Christmas themed clothing options at your disposal too, such as sweaters, pajamas, scarves, shoes and others. 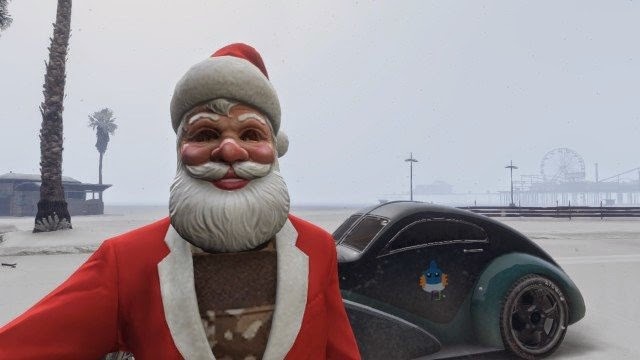 New mask are added too,like Santa Claus,SnowMan face and others. Grab them all for free at any in-game clothing store for free,until January 5th. Some new adverse weather has come to Los Santos and Blaine County in the form of snow effects! Run around the landscape in a winter wonderland, while participating in friendly snowball fight matches with your friends! Don’t let these very rare weather opportunities pass you by! For more info go to Rockstar Newswire official page.